Fibonacci system of roulette betting - "system of nature"
Fibonacci betting system is one of the systems which are named after their creators. One of such famous systems is d'Alembert system developed by talented French mathematician and physicist Jean-Baptist le Rond d'Alembert. 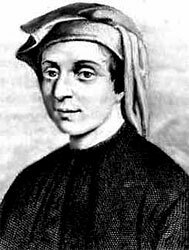 Fibonacci Fibonacci - the creator of the popular betting system -nwas the greatest mathematician of the middle ages. His full name is Leonardo of Pisa (Leonardo Pisano). He was born in 1175 AD in Pisa (Italy). The Fibonacci numbers are the basis of this roulette betting system. The Fibonacci sequence is the following - 1, 2, 3, 5, 8, 13, 21, 34, 55, 89, 144, 233, 377 etc. The next number in this row can be easily calculated - the person just needs to take two previous numbers and add them. The Fibonacci betting system is a little bit similar to the Martingale system of betting. The main principle of the Fibonacci system is to raise the amount of the bet according to the Fibonacci sequence after each loss. In the opposite case, after the win the gambler should cross out of the line two last numbers. Bet 2$ - win - crossing out 2 and 1 - starting betting from the very beginning (bet 1). Playing using the Fibonacci numbers and not the random numbers help the players to stay in game for a longer period of time. The Fibonacci system is a good variant for beginners to improve their gambling experience with the help of change between high and low betting amounts.